Submitted by Paul O'NeillMsgr. Paul J. MeyerGrand Knight Paul O'Neill presented a cheque on behalf of Council 4916 to Msgr. Doyle Secondary School students preparing for a trip to Kenya in May. 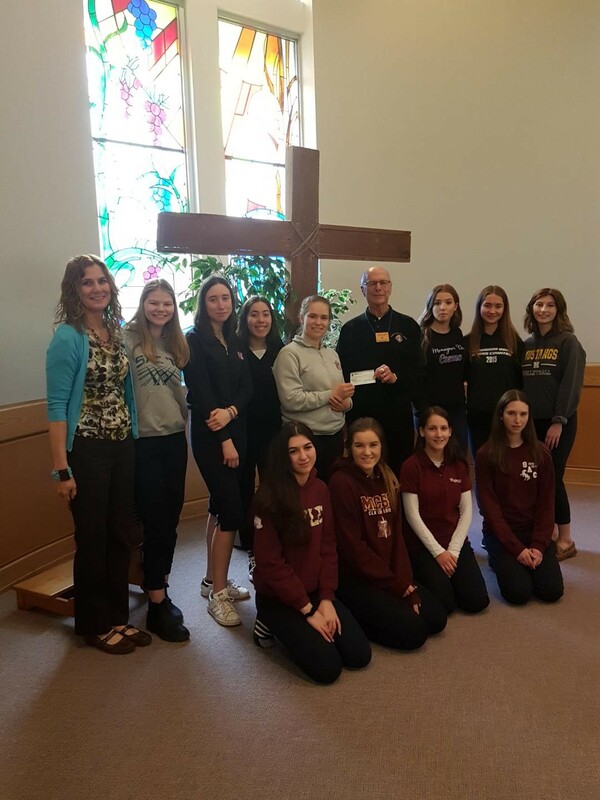 The students are part of a Service Learning Program and will participate in a build project in Kenya. Submitted by Paul O'NeillMsgr. 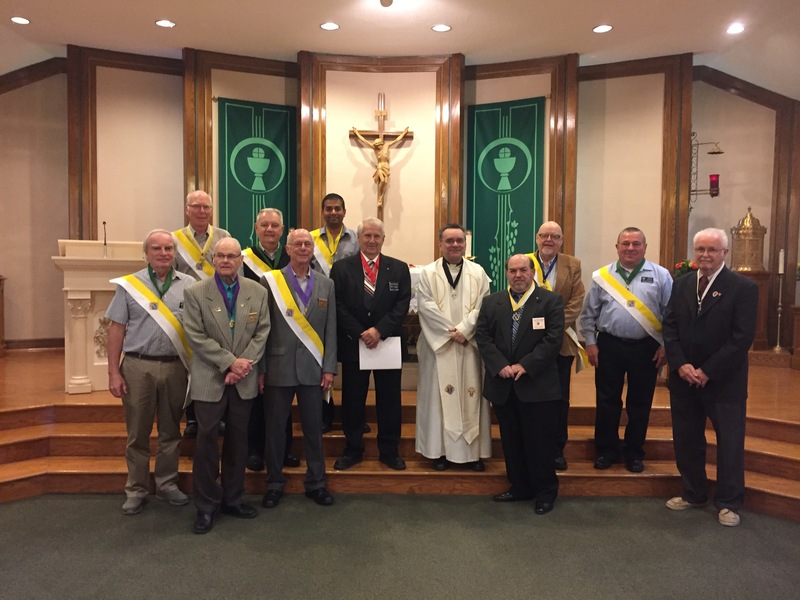 Paul J. MeyerMsgr Paul J Meyer Council 4916 held their annual Memorial Mass for deceased Brothers on Nov 14/18. 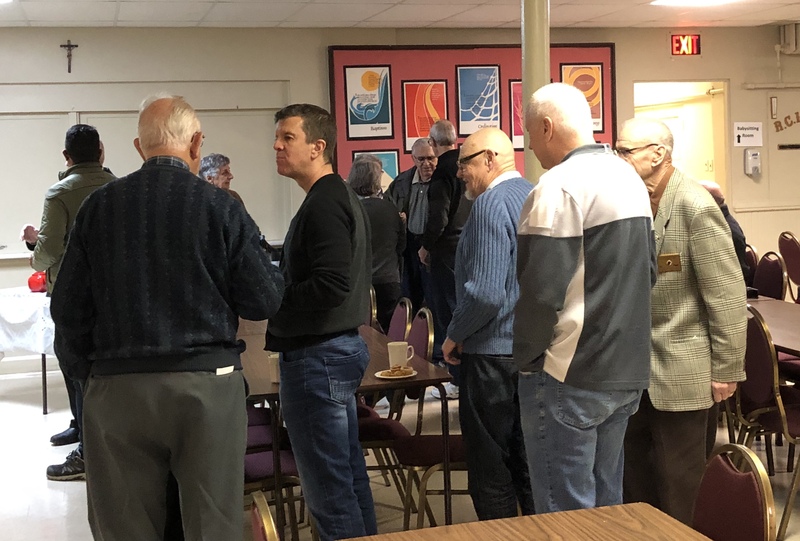 Father Peter,Pastor of St. Clement Church officiated at the Mass which was followed by a reception. 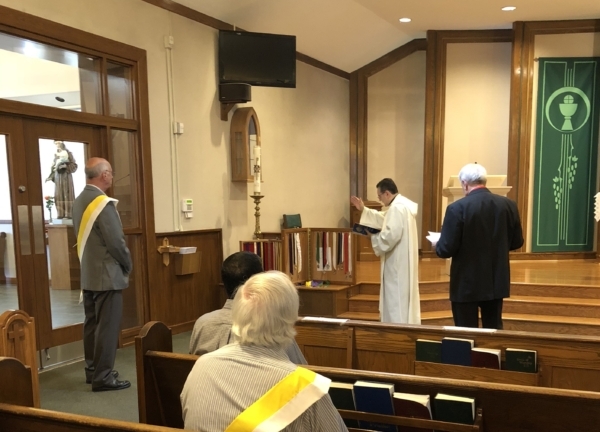 Submitted by Paul O'Neill, Grand Knight 2018 Installation of officers Council 4916 Following the 5:00 p.m.Mass at St. Mary of the Visitation Church, Cambridge the DD Dan Schmalz installed the officers of Council 4916 on Saturday September 22, 2018. The Chaplain Fr. Freitas blessed the Jewels at the beginning of the ceremony.